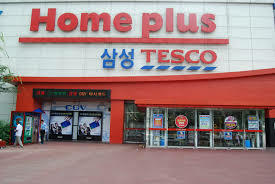 Tesco Homeplus had emerged as a strong player in the grocery retail market in South Korea. However it was at the 2nd position and was looking at a way to reach the top position without increasing the number of stores and overheads associated with them. They started thinking of what problems and changes customers were facing in their daily lives. The 2 most significant ones were that smartphone usage was growing rapidly and also that free time was becoming scarce. The company decided to use both of these observations and came up with a strategy to take the store to the customer rather than vice versa. They created ‘Virtual Marketplaces’ in locations where people generally waited everyday. Using their smartphones, customers could simply scan the products they were interested in and could complete the purchase online itself. The goods were then delivered directly to the customers’ homes. The company was able to use 2 factors which were not related to each other and helped convert the customer’s waiting time into shopping time. The sales of the company increased instantaneously and it became the largest online retailer and a close 2nd in the offline space.